The first step is always admitting you have a problem right? Well, I have a problem…I LOVE all things flag/stars & stripes/red, white & blue related. In the summer, I find myself dressing randomly in red, white and blue all the time. I blame my mom for this. 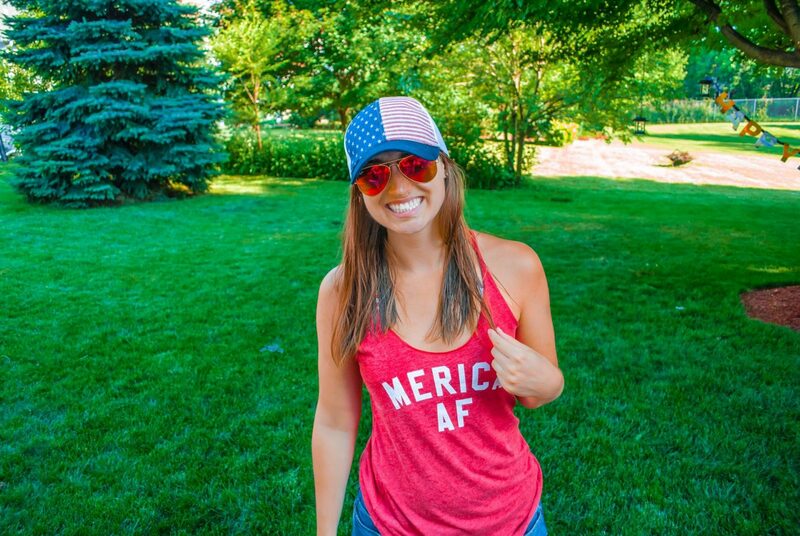 She is super patriotic – flags galore (I think she put up bunting this year)…When we were kids we always dressed in red, white and blue or got a new Old Navy Flag Tee. I remember one time we had these puff-painted teddy bear’s holding American flag T-shirts, too. I’m kicking myself I can’t find a picture of them. They are kinda priceless! Needless to say, I have never outgrown being dressed like the American flag. Infact, I relish in it. Give me red, white and blue or anything else in the summer any day of the week! Below I’ve got a few of my new pieces I’ve picked up that are super American! They are as the tank says, ‘Merica AF. 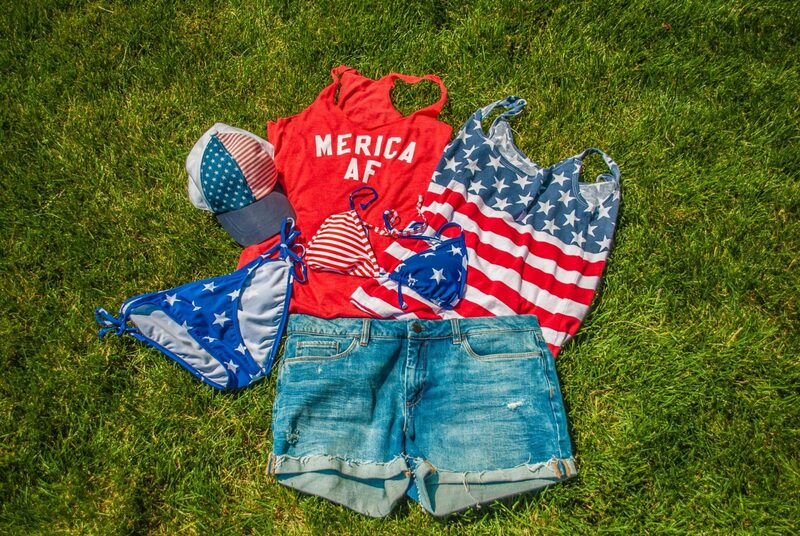 These outfits are perfect for a very casual backyard BBQ or swim party. You can also just wear the tanks and jorts out and about. 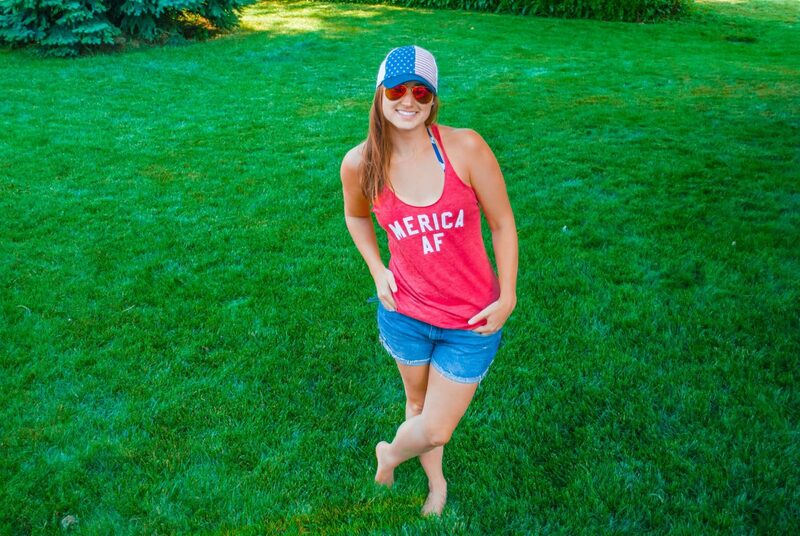 Hope you enjoy and pick up some of your own flag-inspired pieces for the 4th of July this weekend! Hope you liked my picks! Also, if you are looking for something last minute and easy, you really cannot beat Old Navy. They always have a ton of options, and bonus, it’s super cheap, too! Happy shopping and happy 4th of July! Thanks so much for stopping by!! I know I almost bought a flag T but the tank was cuter lol. And def go Cubs go!! !